Richard Nixon | "Just Pray NO!" Ltd.
We are well aware that a number of celebrities such as singing legend Elvis Presley, comedian John Belushi and football athlete “high tower” Bubba Smith died premature deaths from drugs. When these and other icons such as the “king of pop” Michael Jackson, model Anna Nicole Smith, and actor Heath Ledger each died from drug overdose, millions of people from around the world read the story in their local newspapers and national magazines, heard the tragic news on their radios, and watched the events unfold on television. 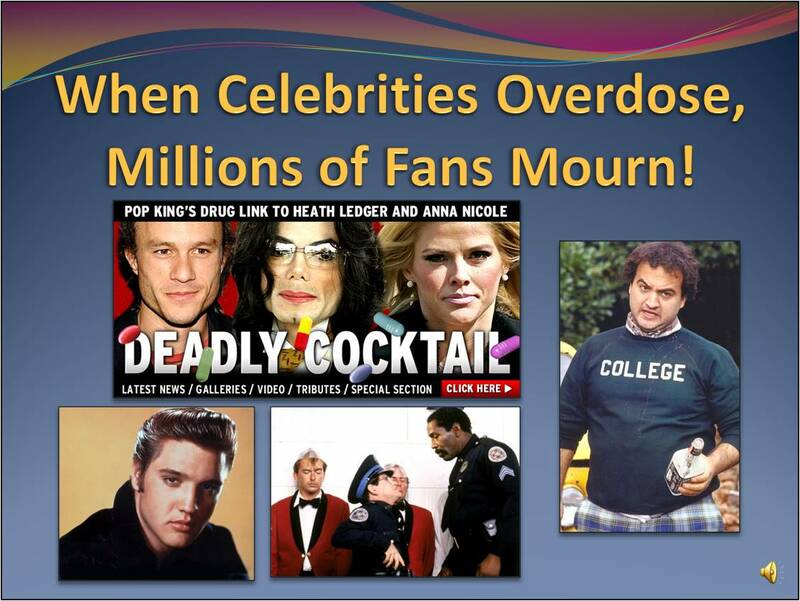 In spite of their popularity, fortune, fame and worldly success – their lives were cut short by drug overdose. But tragically, many of their fans and admirers did not heed the wake-up call! The United States has spent over 1 trillion dollars since President Richard Nixon declared the “War on Drugs” four decades ago. Although arrest rates have increased by 1000% in the last 20 years, 1 out of 10 Americans are still using illegal drugs. In the United States alone, Drug overdose rates have more than tripled since 1990! People are not only dying from illegal drugs but are overdosing on prescription medications at an alarming rate. The Addiction Epidemic is not limited to the Western Nations. There are literally billions of people around the world addicted to drugs including cannabis, amphetamines, the opiates and cocaine. Over the course of time, alcoholism and other drug addiction destroy an individual – both body and soul. Not only is substance abuse America’s number one health problem, the devastation of alcoholism and other drug addiction impacts the abuser’s family and community as well. 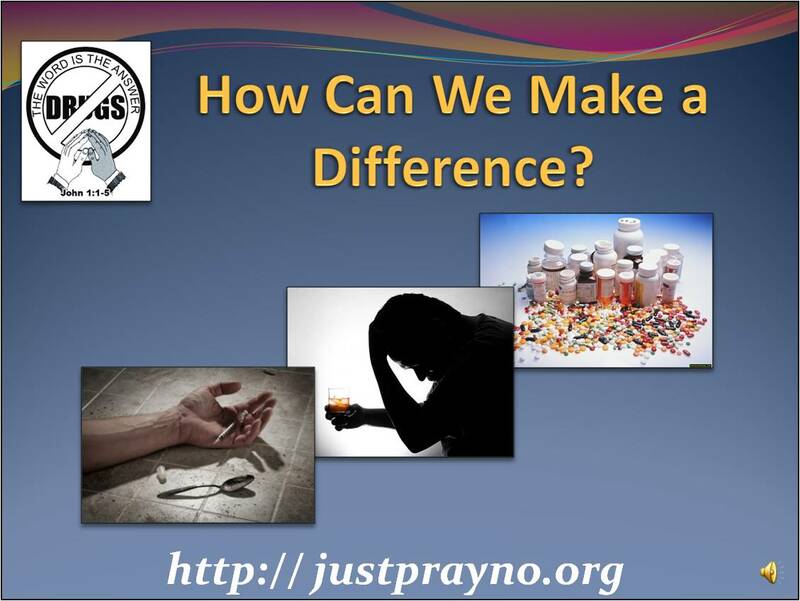 The weekend of April 6 – April 7, 2013 has been designated as the 23rd Annual “Just Pray NO!” to drugs Worldwide Weekend of Prayer and Fasting. Since April 7th, 1991 “Just Pray NO!” has united millions of Christians from around the world in intercessory prayer on behalf of the addicted and their families. Please take 5 minutes to view this important video and then share this link with your friends.